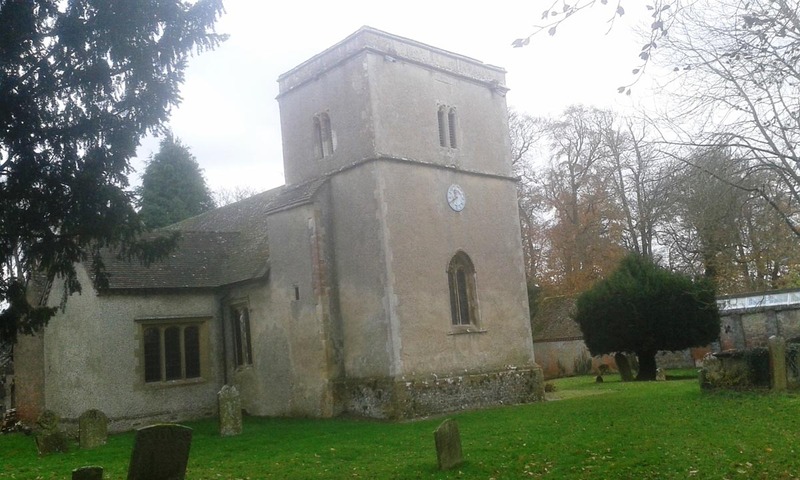 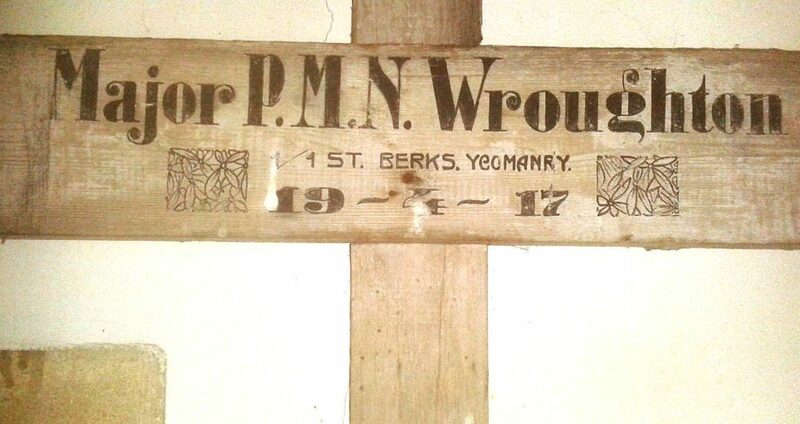 An interesting pair of crosses in two locations for the same man, the other cross is at Fawley which also shows a photo of it in situ, both appear to be Battlefield grave markers. 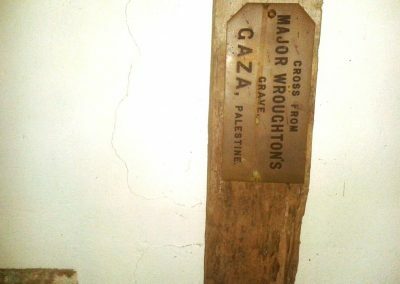 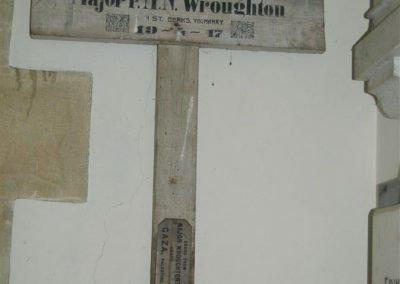 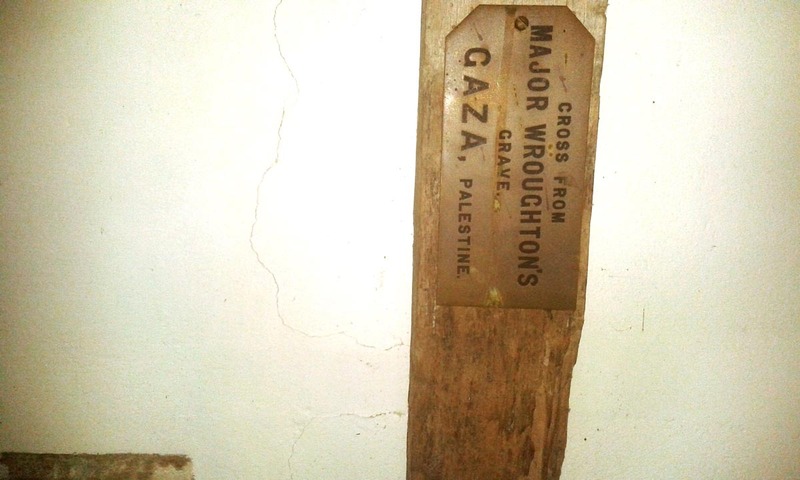 It is perhaps the case that this one was a makeshift original and was replaced by a better more elaborate cross, both have a brass plaque affixed which indicates they were brought back from Gaza, a real curiosity which Alison is still looking into. 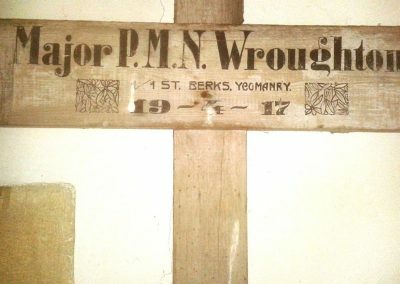 One of only three examples we have so far (13/12/16) of pairs of markers. 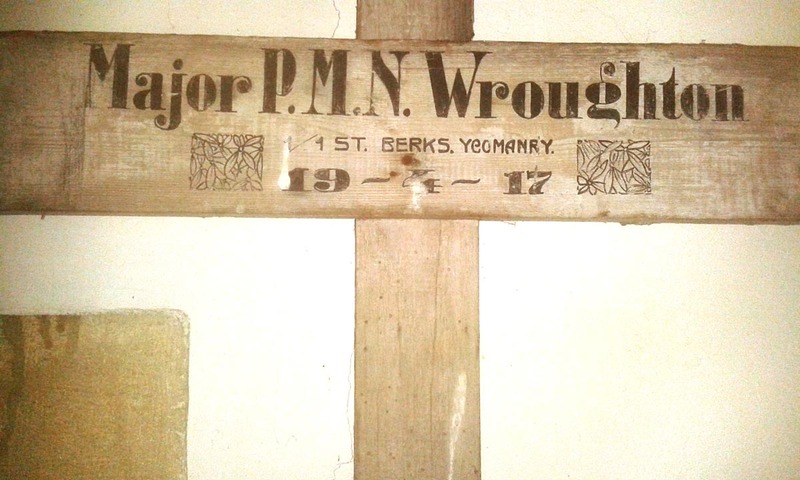 Condition: The condition is fair, although evidence of wood worm and splitting to the wood. 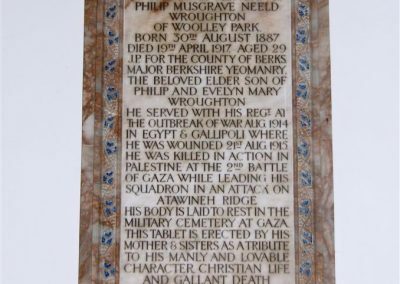 Philip Musgrave Neeld Wroughton was born in Chaddleworth, Berkshire, to Philip and Evelyn Mary Neeld, daughter of Sir John Neeld, 1st Baronet. 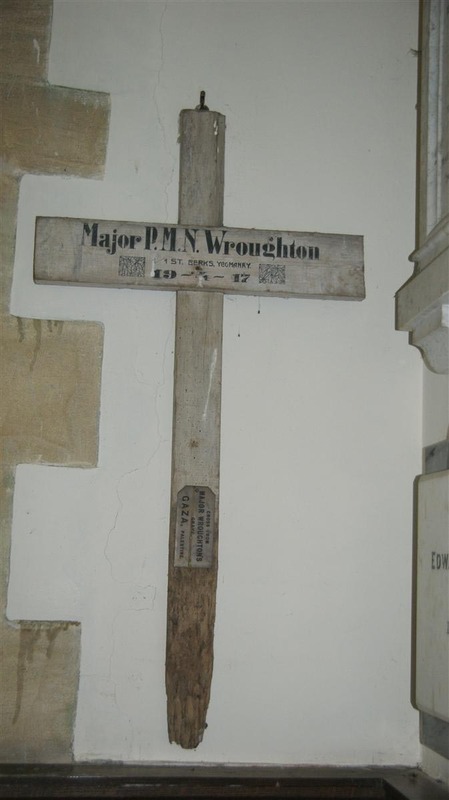 His father of Woolley Park House, Chaddleworth, was an English Landowner and Conservative Member of Parliament for Berkshire 1878-1885, and for the Abingdon Division 1885 to 1895. 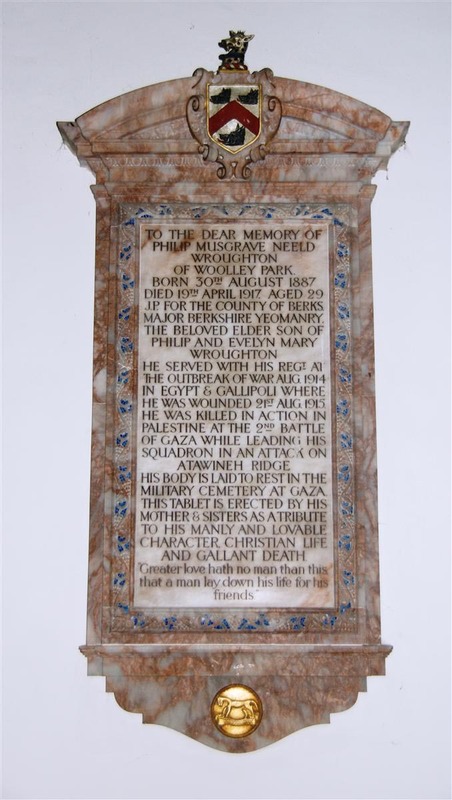 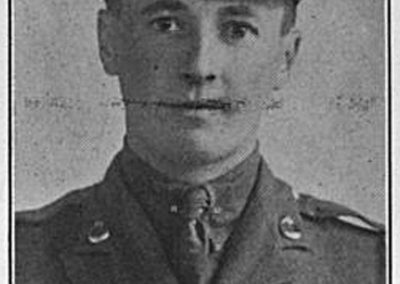 Educated at Eton and then Christ Church, Oxford, Philip inherited Woollery Park Estate on the death of his father in 1910 and was later mobilized on 4 August 1914 as a Major in the Berkshire Yoemanry. 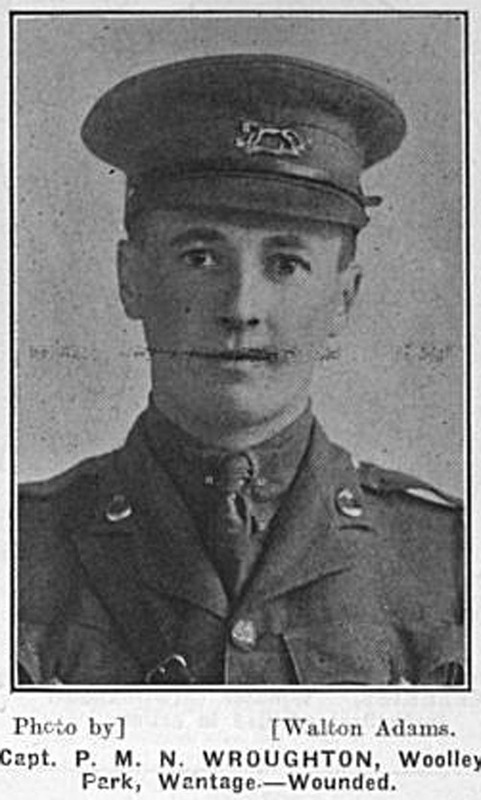 He subsequently served in Gallipoli, Egypt, Sinai, Palestine, and the Senussi Campaign, falling at the Second Battle of Gaza which was fought on the 17th – 19th April 1917. 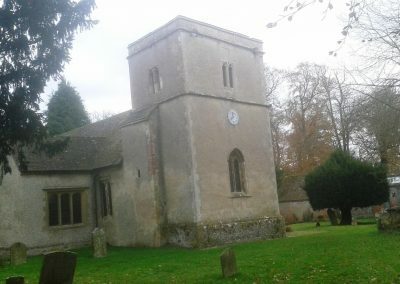 Photographs and Survey by Allison Wilken.